In poll after poll, one of the threats facing our nation is the use of a cyber attack to cause a grid down scenario. There are many bad actors on the international stage capable of cyber terror on a massive scale. The list is long, including Russia, China, North Korea, Iran, Syria and now even terrorist groups like ISIS. Each is capable of wreaking havoc in the US by shutting down our power grid and enjoying the resulting chaos. No bombs. No bullets. No swordfights. Just a few keystrokes on the computer. And we’re done. Inspired by the research conducted for The Boston Brahmin series, CYBER WARFARE, book one in my new non-fiction Prepping for Tomorrow series, is intended to provide a detailed analysis of the history of cyber attacks, the current use of cyber terror, and the potential a devastating cyber war would have on our critical infrastructure. 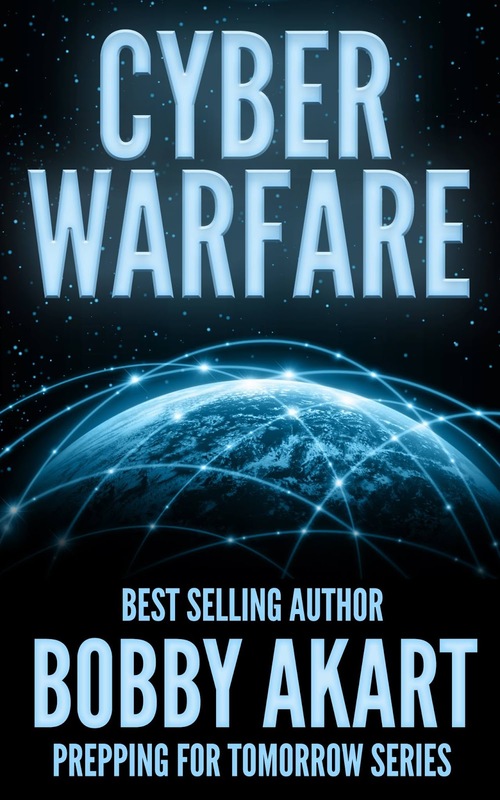 On day two of its release, CYBER WARFARE became an Amazon #1 Best Seller in an unprecedented five genres! CYBER WARFARE is a primer on the threats we face as a nation from the bad actors mentioned above. It explores the history of cyber attacks, and discusses the nuances of the terminology. The policies of the United States, and its allies, have evolved over the past decade. The problem of attribution is explored as cyber space allows hackers a convenient place to hide. Freedom Preppers came together in 2011 to share research with others on the subject of prepping. Originally designed as an informational website, FreedomPreppers.com quickly grew in prominence as its articles on preparedness were shared around the web. The goal of the Prepping for Tomorrow series is twofold. First, provide a detailed analysis of the threats we face as Americans. Second, give new and seasoned preppers alike the opportunity to enhance their preparedness plan with this knowledge. Fans of The Boston Brahmin series who enjoyed the frighteningly realistic cyber attacks initiated by the Zero Day Gamers will understand the threats we face are real. CYBER WARFARE is a must-read for anyone who is concerned about the threats our nation faces from cyber terror. It is available on Amazon.